On the first matchday of the 2006 One Nation Cup, it was pouring and some teams were having doubts about playing football under such conditions. But they managed! 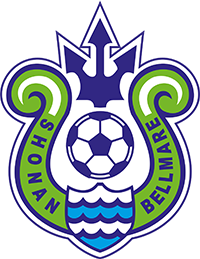 Not one, but two teams were the hosts of the 2006 ONC: The U15 team of Werder Bremen and the representative team of Bremerhaven. In addition, there were 10 guest teams from all over the world- countries from every continent were represented: China, Brazil, South Africa, New Zealand, Israel and European teams from Norway, Denmark, Poland and Turkey. The level of skill shown at the tournament was impressive: We saw fantastic games, amazing goals and some outstanding talents at the 2006 ONC. In the end, the final match took place between Poland, a team from Bremen’s twin city Danzig and the team from Durban, South Africa. In an extremely exciting match of high technical skill the South Africans won (1:0) and won the first One Nation Cup. Later at the prize ceremony they could present the trophy from the balcony of the venerable Bremen town hall – a moment, which they and us will always remember. Certainly, the 2006 ONC wasn’t about football exclusively. The guests from all over the world experienced a varied framework programme in Bremen and had ample opportunities to getting in touch with their partner schools in Bremen. From the opening ceremony in the upper hall of the town hall to the farewell party at the market place, where even the famous German band Culcha Candela performed – the students from Bremen where permanent companions of the teams and became true friends! In hindsight, our current slogan PLAY FOOTBALL – WIN FRIENDS! would have fit to the 2006 ONC just fine! 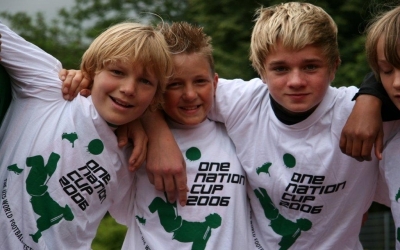 No Replies to "HOW IT ALL STARTED: 2006 ONE NATION CUP IN BREMEN (GERMANY)"